The workplace is changing. This conference will help HR leaders and their teams prepare and adapt to the new world of work. Right from how we organise work to how it gets delivered, technology is disrupting the traditional workplace. Employees are now more mobile, global and diverse than ever and we are set for a future where robots work side-by-side with humans in many more scenarios than today. Mega trends such as the gig economy, political factors such as Brexit and emerging technologies such as artificial intelligence and Blockchain are going to dramatically change the way we work. HR teams need to adapt to help their organisations manage a new hybrid, disparate workforce as efficiently and effectively as possible. 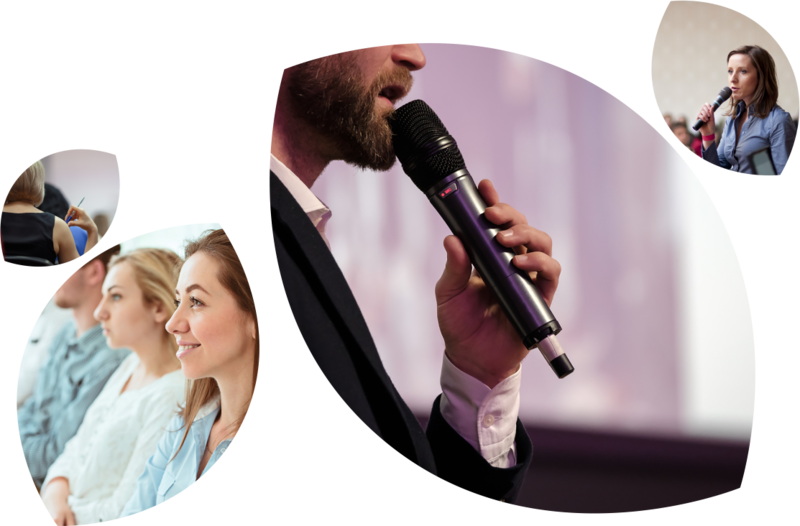 Our forthcoming conference, ‘How HR can adapt to the changing workplace’, will bring together leading HR influencers to share their latest thinking on the future of work. They will also look at how the workplace is being reshaped through the lens of the HR practitioner and provide practical advice to help you prepare. We're delighted to be joined by some of the most influential thinkers in HR & technology to inspire you with their vision for HR management. Annabel's profile: Annabel has helped thousands of businesses work out how to contract and manage people. She is a renowned blogger, speaker and expert on the gig economy - she has appeared on BBC Breakfast, BBC News, Radio 4. Glenn's profile: Glen founded Reward Gateway and grew it to a half a billion pound business with 400 people across 7 countries, before selling the company. He now spends time as an investor and advisor to help boards get the best out of their people. Andrew's profile: Working at the intersection of tech, strategy and HR, Andrew is a Top 30 Global Influencer in HR Tech, a Top 30 HR influencer and one of the Top 20 Experts in People Analytics. Leading HR influencers and experts will share the key trends that are reshaping the workplace and provide insights to help HR teams prepare and adapt. We’ll run a Customer Forum to update you on our latest & planned developments, followed by a Q&A. For existing Natural HR customers only. This event is ideal for business leaders, HR professionals and managers in small to medium-sized businesses (approx. 100-1,000 employees), who want to understand the impact of the changing workplace. If you’re concerned about how well your organisation is equipped for change and want pragmatic steps to take back to the office, this event is for you. It’s hard to escape the day-to-day noise that stops you from learning about the big issues on the horizon. This event will give you the headspace to understand how the future of work will impact you and your business, while providing you with the energy, tools and approaches to start preparing now. You’ll also have plenty of opportunity to network with peers and share experiences with fellow professionals from organisations of a similar shape and size. 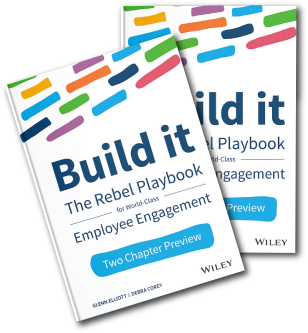 All attendees will receive a free copy of the Amazon New #1 Bestseller: 'Build it - The Rebel Playbook for Employee Engagement'. Written by our guest speaker, Glenn Elliott. The event includes breakfast, buffet lunch & refreshments. For Natural HR customers only: Following lunch, from 2pm to 5pm, we will hold our annual customer user group. Details will be sent separately. The conference is open to existing NHR customers, other small-to-medium sized businesses and specially invited guests. Please complete the form below to register your place. Due to limited space, we recommend booking early to avoid disappointment. By booking on this event, you will also be giving your permission to appear on any videos or photographs taken during the event.